These low-carb triple chocolate zucchini muffins are the BEST way to enjoy chocolate AND get a serving of veggies in, too! This recipe for healthy chocolate zucchini muffins is simple to prepare, decadently rich, and a great way to use up any extra zucchini you have in your kitchen! If you love zucchini bread, you will LOVE these healthy Low-Carb Triple Chocolate Zucchini Muffins! I have always love enjoying a warm slice (or two) of zucchini bread with a slab of butter on top. I figured it was the best way to enjoy a baked good AND get my vegetables in (sounds like a win/win decision, right?!). These low-carb triple chocolate zucchini muffins put a deliciously fun spin on traditional zucchini bread by keeping them very low-carb and by adding CHOCOLATE! And lots of it! 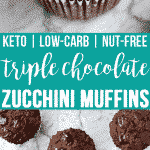 With all of the flavor in each bite, you’d never believe that these healthy low-carb triple chocolate zucchini muffins contain a vegetable and are a keto and low-carb tasty dessert! What’s better than chocolate muffins? 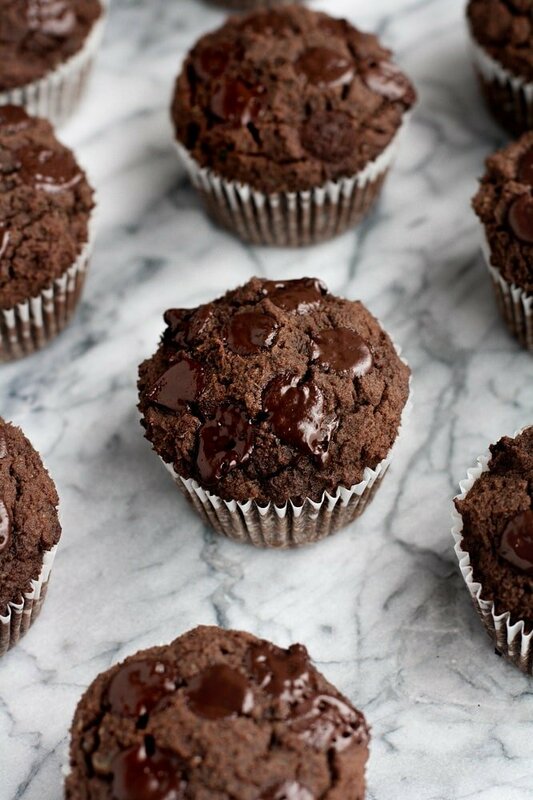 Double chocolate muffins. What’s better than double chocolate? TRIPLE CHOCOLATE! This recipe is full of chocolate ingredients that make these zucchini muffins taste like such a decadent treat! 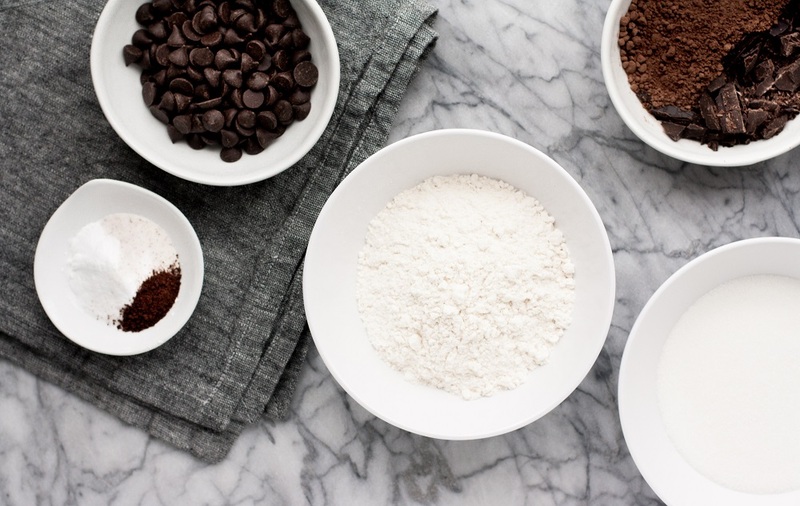 In this recipe, we use Baker’s chocolate, unsweetened cocoa powder, and chocolate chips! These are nut-free zucchini muffins and are safe to consume for those with a nut allergy or nut intolerance. If you are in search of more Real Balanced nut-free and low-carb recipes, you can find them from these links! These low-carb triple chocolate zucchini muffins are sweetened with my favorite keto-friendly product, Lakanto Monk Fruit Sweetener. 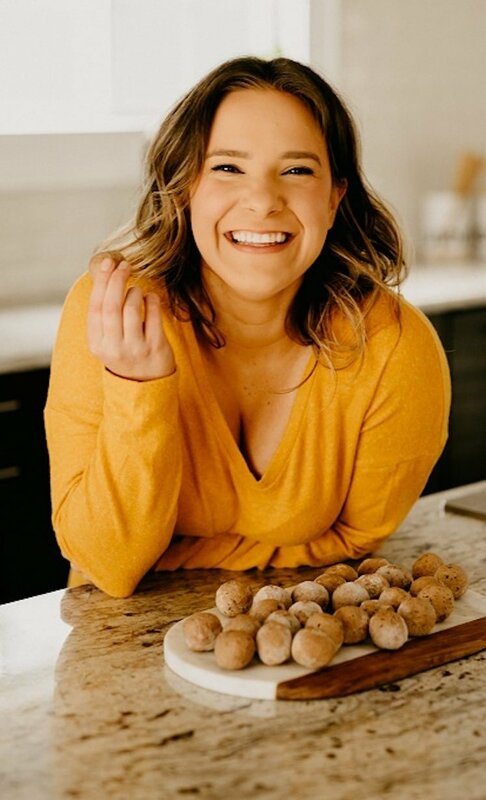 I use monk fruit sweetener in virtually all of my dessert, baked good, and fat bomb recipes as it is net-carb-free, calorie-free, and tastes just like sugar! If you are unfamiliar with monk fruit sweetener, it is a great sugar substitute that is naturally-occurring, unlike many other calorie-free sweeteners like sucralose and aspartame. 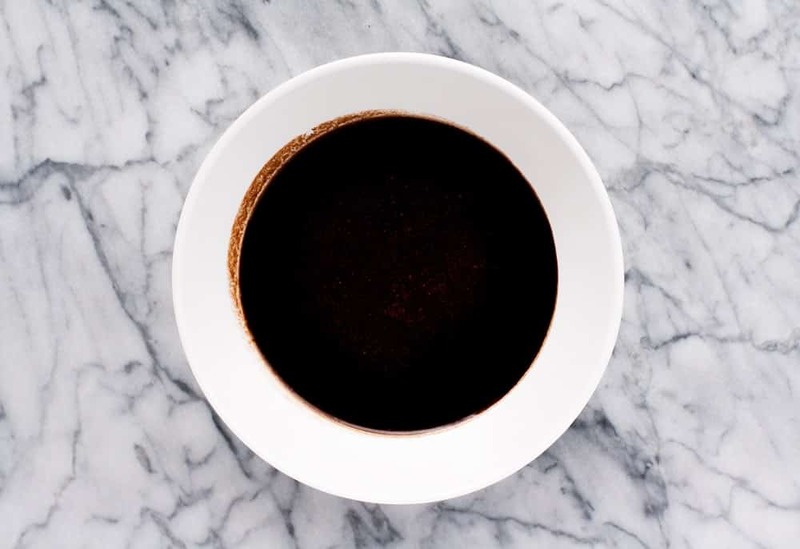 The sweetness of monk fruit sweetener comes from mogrosides, a chemical compound, rather than fructose or sucrose, which is where the sweeteness in cane sugar stems from. Monk fruit sweetener doesn’t spike blood sugar and is safe to consume for those with diabetes or candida. If you follow a low-carbohydrate, ketogenic diet, monk fruit sweetener is a pantry-necessity! If you are looking for more monk fruit-sweetened recipes, visit my compiled list of over 40 keto monk sweetened recipes! Preheat your oven and line muffin tin with muffin liners. Measure out dry ingredients. Grate zucchini using a grater or pulse in food processor. Squeeze out excess moisture using a nut milk bag or a cheesecloth. 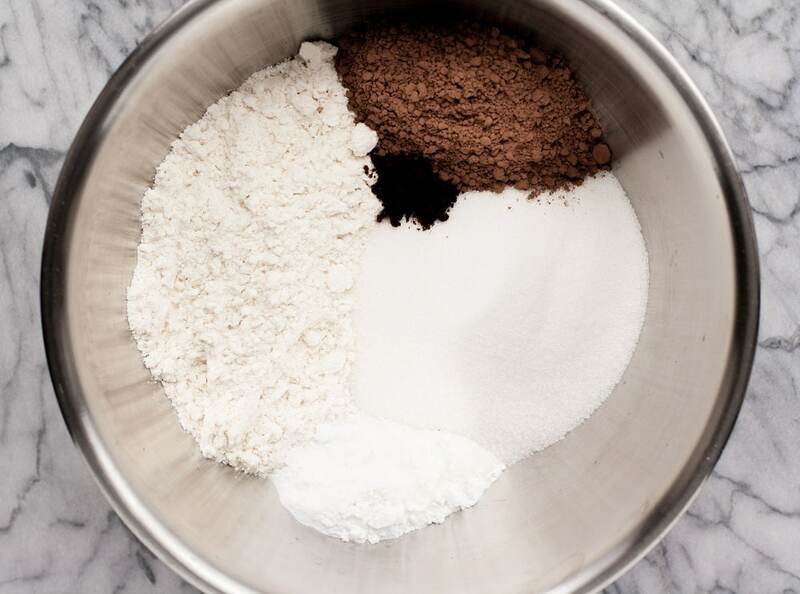 To a large mixing bowl, add dry ingredients and whisk together. Add eggs and vanilla and mix with electric mixer. 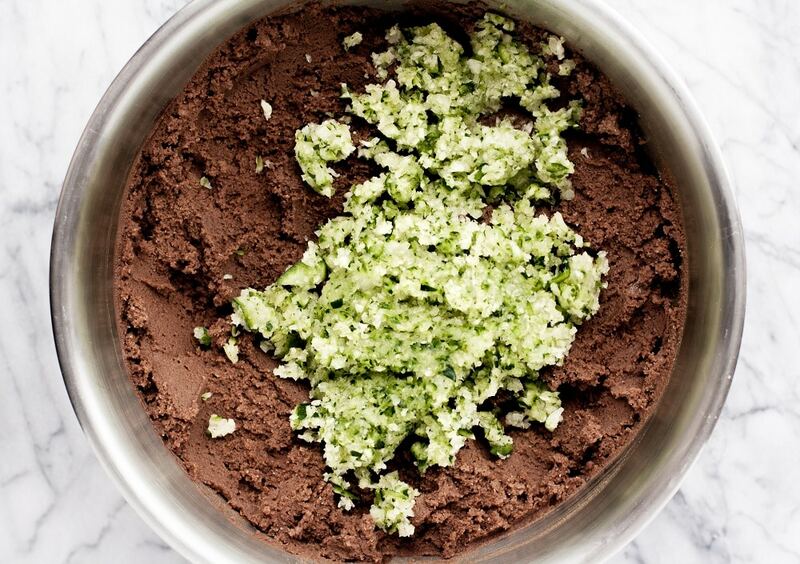 Melt together butter (or coconut oil for dairy-free) and Baker’s chocolate. Add melted chocolate and mix with electric mixer. Add grated zucchini and mix again. 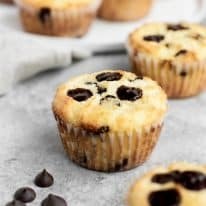 Spoon mixture into muffin liners and top with chocolate chips. Bake until toothpick can be poked into center of muffins and come out cleanly. These tasty triple chocolate zucchini muffins are low-carb and are a great dessert option to bake up for those who follow a ketogenic diet and are nut-free! Low-Carb and Keto: One zucchini muffin contains only 4.5 grams of net carbs per serving! Nut-Free: These zucchini muffins are nut-free. Dairy-Free: These brownies can be made with coconut oil, rather than butter, thereby making them safe for those with a dairy allergy or lactose intolerance. 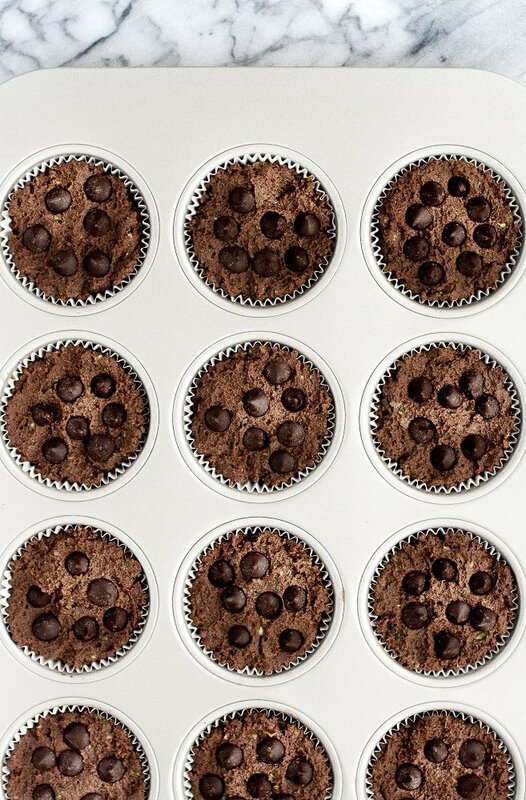 Soy-Free: Unlike many other brands, the chocolate chips used in these zucchini muffins are free from soy. 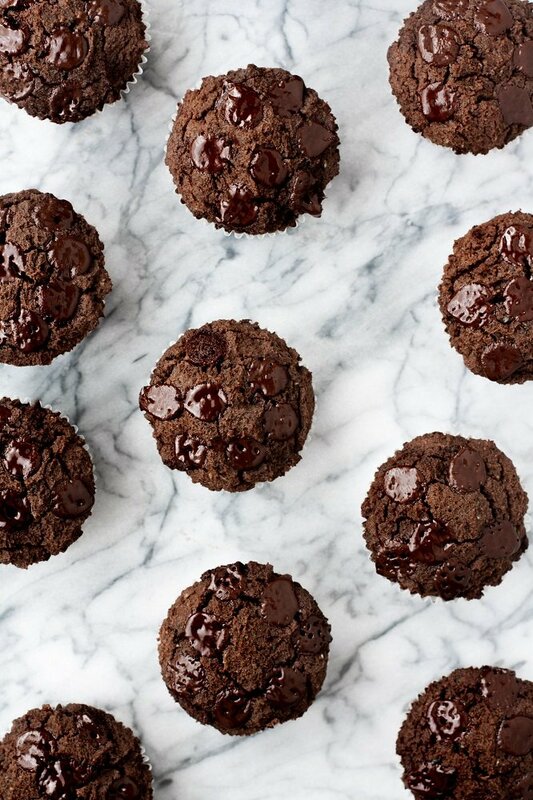 Gluten-Free and Grain-Free: These are gluten-free chocolate zucchini muffins as they are free from gluten-containing ingredients as well as being free from grains. These zucchini muffins are also Celiac-friendly! Vegetarian: These are vegetarian zucchini muffins. 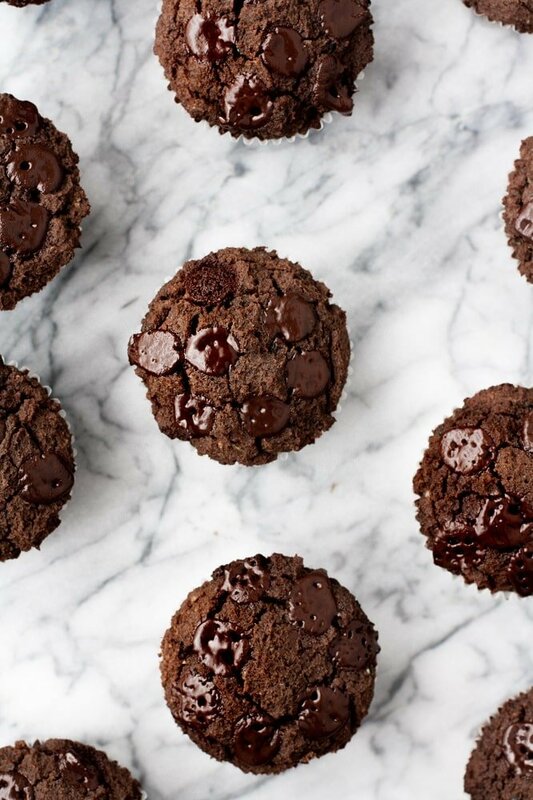 Refined-Sugar-Free: This recipe for chocolate zucchini muffins are made without refined-sugar and are, instead, sweetened with monk fruit sweetener. One piece of low-carb triple chocolate zucchini muffins contains only 4.5 grams of net carbs per serving! This recipe yields 12 muffins. These Triple Chocolate Zucchini Muffins are low-carb, keto, nut-free, dairy-free, soy-free, gluten-free, grain-free, vegetarian, and refined-sugar-free. Check keto dessert recipes for more low-carb and keto-friendly desserts! I am excited to share that I have partnered with Lakanto to share a Taste Test Bundle with you all! If you’ve been waiting to try monk fruit sweetener, now is the time to order! This deal includes classic monk fruit sweetener, golden monk fruit sweetener, a recipe e-Book, and Lakanto’s Taste Test Guarantee! These Low-Carb Triple Chocolate Zucchini Muffins are a delicious keto-friendly baked good that are perfect for curbing your sweet tooth and your craving for chocolate! 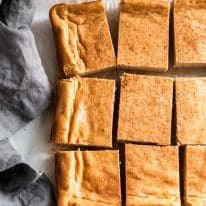 This recipe is low-carb, keto, nut-free, dairy-free, soy-free, gluten-free, grain-free, vegetarian, refined-sugar-free, and contains only 4.5 grams of net carbs per serving! Preheat oven to 350 degrees and line muffin tin with 12 muffin liners. Grate zucchini using a grater or pulse in food processor. 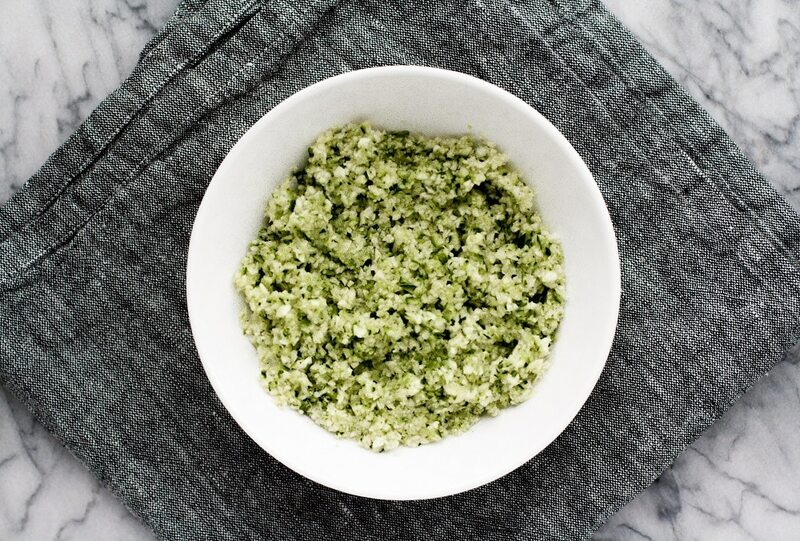 Transfer grated zucchini to a nut milk bag or cheesecloth and squeeze to remove excess liquid. Set aside. 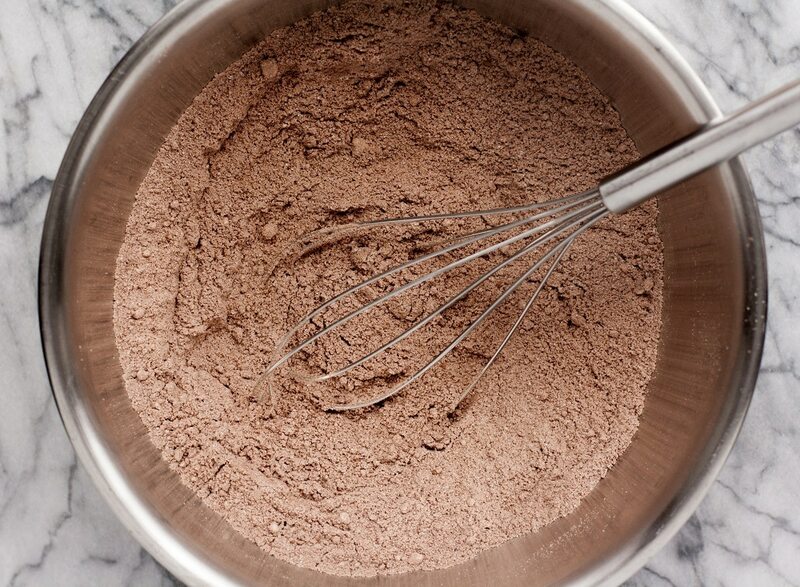 To a large mixing bowl, add dry ingredients and whisk together. Add eggs and vanilla and mix with electric mixer. 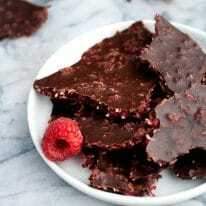 Chop Bakers chocolate into slivers. 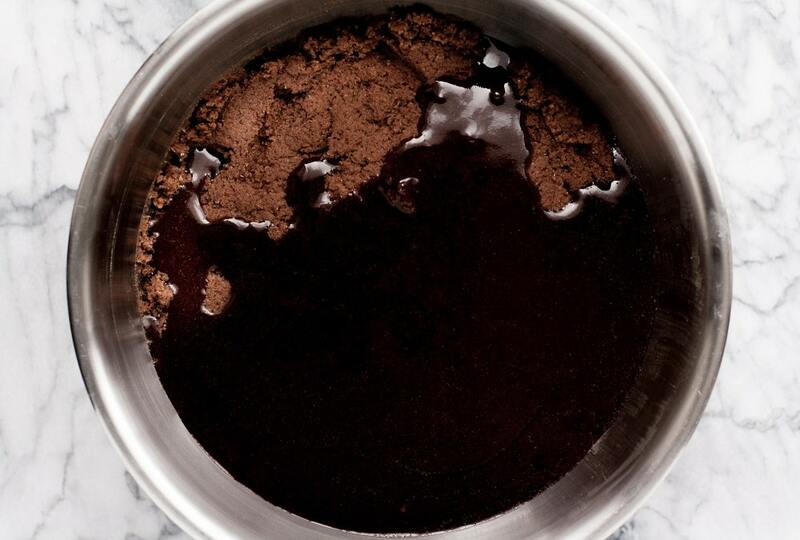 Add chopped chocolate and butter (or coconut oil) to a small bowl and heat in microwave in 25-30 second increments until melted. 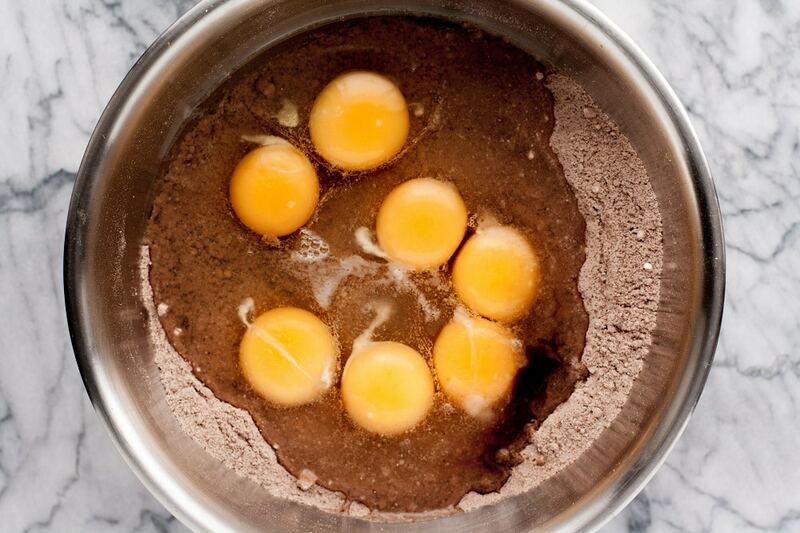 Add melted chocolate to mixing bowl of mixed dry ingredients, eggs, and vanilla. Mix with electric mixer, then add grated zucchini, and mix again. All ingredients should be well-incorporated. Spoon mixture into muffin liners (the mixture will be quite thick). Add chocolate chips to top of muffin dough. Bake until toothpick can be poked into center of muffins and come out cleanly, about 18-20 minutes. very interested in trying many of your recipies including this one. I have noticed you use monk fruit sweetner. I have seen/heard in research that this is not keto as it is high in sugar? is this true? No, monk fruit sweetener is not high in sugar (there is no sugar content in it whatsoever). You can learn more about monk fruit sweetener here. If these are truly nut free, please remove the reference to the “nut milk” bag in the materials list. It’s quite literally what the material is called; it has nothing to do with nuts. Hi Sara – Love your blog! 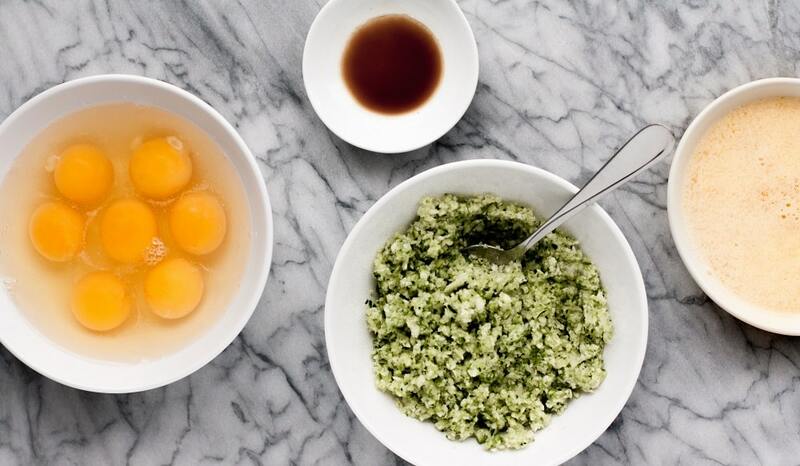 I want to try this recipe, but I can’t seem to find the list of ingredients? There are lots of yummy descriptions and photos, but where is the recipe itself? Is there a link I need to click on? Thanks! how can I get all the wonderful pictures? Hi there! Instead of clicking the “Print Recipe” button, you can print through your internet browser by going to “File” and then “Print.” That should allow you to print everything. ?